A stylish and secure business phone with great hardware and battery life but not without shortcomings. I was thrilled when Sirin Labs contacted us at Altcoin Buzz to review the new Finney phone. 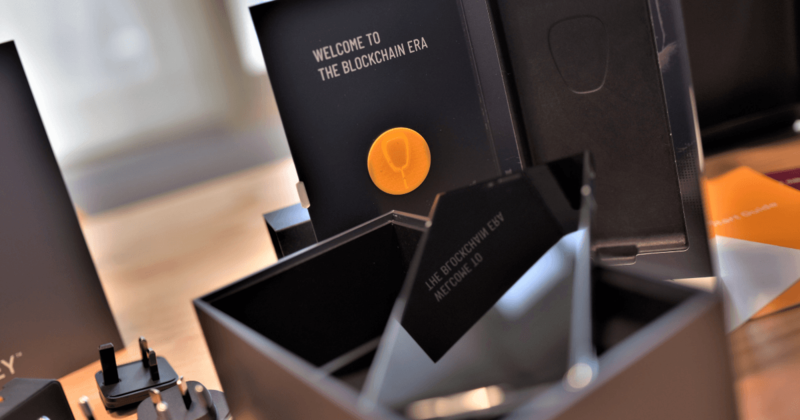 It’s the first ‘blockchain’ phone in the market and was I looking forward to playing with one since they announced it last year. This is my first attempt at a Phone Review and I have always wanted to do one. I am always selective of the phone I use though not biased towards the brand that makes it. This is a general review of my experience with the phone over the last month with a slight comparison with my previous phone the LG V20. 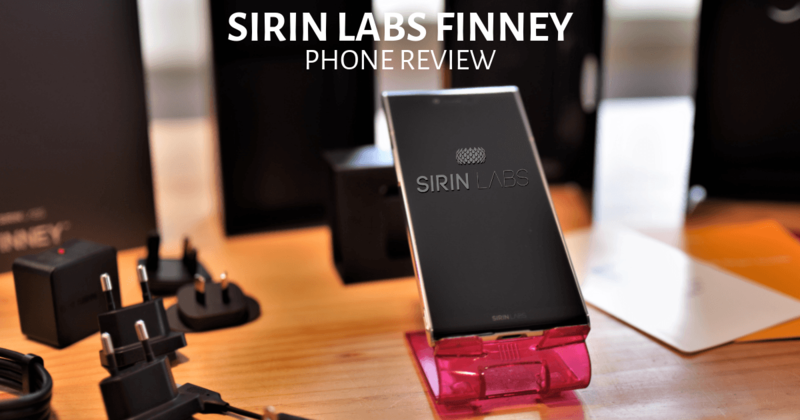 I received the Sirin Labs Finney Phone in a very nice box that had the nice vacuum feel to it as I took off the top lid. The packaging and the phone felt like a luxury item with all the contents very well organized in it. Items Included are – The Finney Phone, Charger with multiple plug points, Audio Dongle and a USB cable. The USC-C to USB-C charging cable is very insulated and I feel will last a really long time though not easy to fold. The charger has a USB-C type out. Would be nice if it had a regular USB out. The first time I held the phone I loved the way it felt, it felt great in the hand and unlike many other phones I have tried recently, holding it from the side was comfortable and did not feel like it was going to slip at all. It is a bit on the heavier side but was okay for me. 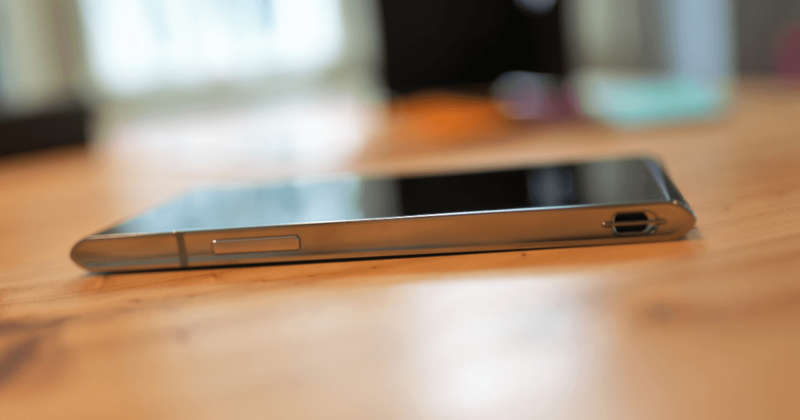 The back of the phone has a matt finish and feels great, seems like high-quality plastic material. The screen is beautiful, compared to the previous LGV20 I could see the difference in screen quality, the colors on the Finney were very dynamic and the blacks appeared cleaner and at max brightness, it outshined my LG V20. I am disappointed that it does not have a headphone jack and being an audiophile having to carry a dongle is not something enjoyable. The screen area is much smaller that the surface area of the phone but that did not bother me much, however, the notch did not do well for the slight OCD, but I got used to it over time. Finney falls short in the audio department and the USB to 3.5mm audio dongle adds extra connection points. I wasn’t expecting a high-end DAC sound like my Fiio X5 or even the LG V20 that has an inbuilt DAC but the audio was sub-par, I tested it out with an external DAC and the sound was better but this is not a feasible solution for the long run. I will be trying out the audio on the Finney with NextDrive Spectra X Portable USB DAC, though I have not tried it yet hopefully it will save me from carrying two bulky devices. The audio from the in-built phone speakers is shrilly and I do not have anything good to say about those either. The quality of pictures with the Finney rear camera is average. As with any basic phone camera, the low light pictures are noisy, and the day-time pictures are clear and sharp. There is not much to it though there it is a 12MP camera with an f/1.8 lens, due to the small sensor size there is the only usable large depth of field. The pictures are sharp and clear but the colors seem a little dull and have low contrast. Works fine for selfies and non-professional use. 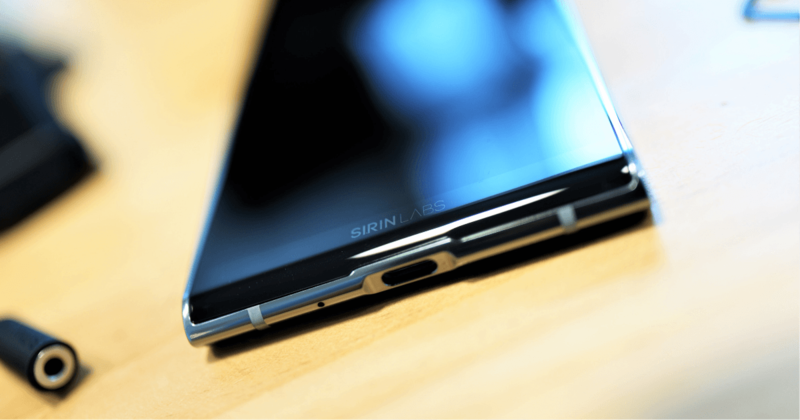 To keep your crypto safe is one of the main reasons to buy the Sirin Labs Finney Phone and it does the job well. There is a bit of a learning curve to using the phone’s pop-out screen and accessing the hardware and it is a bit tedious to do so. I recommend the future updates allow for the wallet to have a security feature on a ‘decoy’ pincode, it opens a hidden wallet with very little crypto, in case someone was being robbed and had to unlock the wallet. For anyone who has used a hardware wallet in the past, the setup process is no less complicated, especially for first-timers. I would use the cold-storage wallet for bigger amounts of BTC and for smaller amounts I would still use my Enjin wallet as it’s quicker to access and the UI is much better for me to use. Using the dCentre the ‘Decentralized Applications’ store was one of the bigger positives of the device, using idax exchange on it was simple and a much better experience than I usually have. Can totally see where this can go with many DEX (Decentralized Exchanges) coming up like the Nash and Binance Dex. Exploring dCentre will be the biggest charm for the phone for me. I played two games on the phone PUBG mobile and Asphault 9: Legends and the phone really performed in this department. These are the only two games I ever played in my previous phone and I can feel the difference. Also the Finney was comfortable to hold and did not get particularly hot after a few hours of gameplay though that battery as expected was greatly reduced. The good screen, fast processor and resourceful RAM can be attributed to the performance in the gaming department and I look forward to playing many decentralized games on the device in the future. 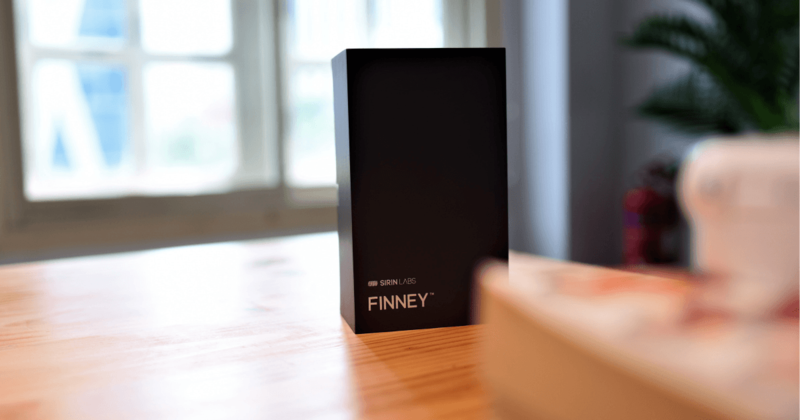 The Finney phone is powered by is a 3,280mAh battery rated for up to 20 hours of talk, 10 hours of video, 65 hours of music playback and 13 hours of internet use. Qualcomm QuickCharge 4.0 support should allow you to charge the Finney to 50 percent in 30 minutes or 100 percent in 120 minutes. In my use I found it to last a whole day unless I choose to play games or watch YouTube videos which sucked the battery right off due to it’s bright but energy consuming OLED Display. Sirin Labs Finney may not be good for everything but it sure does everything a businessman needs on the go rather well. I found the phone to be stylish and working great for it’s blockchain properties, screen and gaming also the added fast power charger is a great touch. However, it falls short in the camera and audio department by a long shot compared to other top flagship phones. Disclosure: I was sent the Phone to Review.